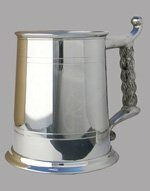 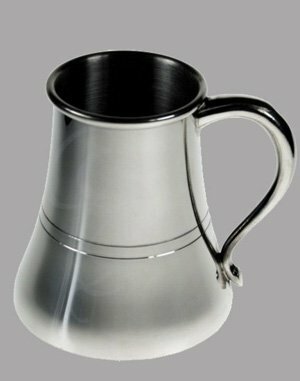 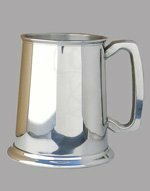 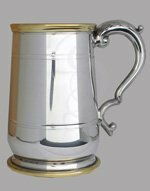 Bold and regal, the Ship Captain's Tankard says, "I rule this ship; I get to drink first." A wide flat base tapering to a narrow top designed to not fall over on board ship. 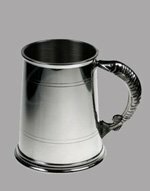 Clamp this onto the belt of any pirate, or keep one at home for boat drinks.